"[Poe Leggette] is absolutely fantastic, he knows all of the technical and procedural aspects of the processes and he can explain it." Poe Leggette was recently recognized by the Independent Petroleum Association of America for “25 Years of Outstanding Legal Representation,” having saved independent oil and gas producers an estimated $25 billion in costs from excessive regulation. 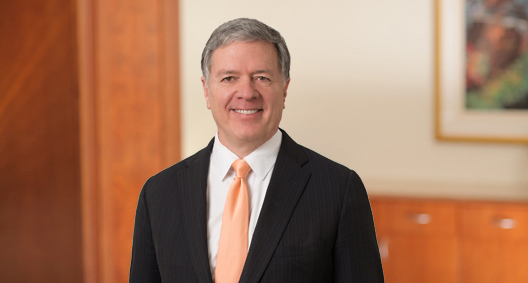 He heads the firm’s national energy industry team, which was named a 2015 Practice Group of the Year by Law360. Addressing the intricate needs of oil and gas companies, Poe focuses his well-established practice on litigation and transactional work in the energy industry. His experience includes four principal areas of representation: onshore shale plays, federal and private mineral royalties, oil and gas companies operating on federal and Indian lands, and companies operating under federal leases in the Gulf of Mexico. Prior to entering private practice, Poe served as assistant solicitor for the U.S. Department of the Interior, advising the Bureau of Land Management (BLM) and the Minerals Management Service (MMS) on their onshore and offshore energy programs, as well as MMS's Royalty Management Program on questions of royalty valuation. On behalf of an oil and gas operator, obtained a first-of-its-kind mandatory injunction under the Energy Policy Act of 2005, directing the Bureau of Land Management immediately to approve ten applications for permit to drill or provide substantial evidence supporting decision to delay. EnerVest Ltd v. Jewell, No. 16-cv-1256-DBP (Memorandum Decision and Order December 30, 2016). As a result, the ten APDs were approved in time for the operator not to lose a four-month drilling window in Utah. Won case of first impression under Federal Oil and Gas Royalty Simplification and Fairness Act. U.S. Court of Appeals for the District of Columbia Circuit reversed a lower court ruling that had held a lessee’s suit to challenge a federal royalty demand was time-barred. Continental Resources, Inc. v. Jewell, 2017 WL 406183 (D.C. Cir. Jan. 31, 2017). Successfully defended on appeal a grant of summary judgment against a competitor oil and gas company suing under the Sherman Act for alleged impairment to its ability to develop its leases. Buccaneer Energy (USA) Inc., v. Gunnison Energy Corp., 2017 WL ____ (10th Cir. Feb. 3, 2017). Represents federal lessees and trade association with respect to federal bonding requirements for platform abandonment. Represented U.S. energy company in first challenge to an EPA noncompliance order under Sackett v. EPA. Represented U.S. energy company in suit by United States over alleged bid rigging in lease acquisition. Represented non-U.S. energy company in acquisition of oil and gas assets in Utah and New Mexico. Represented non-U.S. energy company in acquisition of oil and gas assets in Wyoming and Colorado. Represented U.S. energy company in review of royalty value of exported coal. Represents upstream and midstream companies in federal investigations of alleged failures to “unbundle” transportation costs when reporting royalties, e.g. Devon Energy Production Co. v. Gould, Civ. No. 16-CV-161-J (D. Wyo.). Represented U.S. energy company in dispute with federal government over deduction of compression costs from royalty payments. Represented U.S. midstream company in litigation over rights of way in Marcellus shale. Represented non-U.S. energy company in litigation over expiration of leases in Marcellus Shale. Represented U.S. energy company in royalty dispute in Bakken Shale. Represented non-U.S. energy company in acquisition of oil and gas assets in Piceance Basin in Colorado. Represented non-U.S. energy company in litigation over access to split estate minerals in Niobrara Shale. Represented U.S. energy company in litigation over preemptive effect of Pennsylvania's Act 13 (2012) as to local zoning power. Represented U.S. energy company in dispute over pipeline operating agreement. Serving as arbitrator in dispute over purchase and sale agreement. Represented geophysical survey companies in acquisition of survey permits in Gulf of Mexico. Represented U.S. energy company in obtaining lease suspensions to develop subsalt oil and gas projects in the Gulf of Mexico. Represented oilfield services company in investigation over testing of blowout preventers offshore. Represented international drilling company regarding approval of deepwater drilling technology. Represented U.S. energy company in obtaining suspensions of operations for deepwater OCS leases. Represented U.S. trade association in dispute with Department of the Interior over CEO certification requirement for offshore leases. Advised U.S. and non-U.S. energy companies in joint operating agreements for oil and gas development. Represented geophysical survey company in dispute over confidentiality of data. Poe Leggette Tells Wall Street Journal Oklahoma Drilling Suit is "Significant"
Leggette Co-authors Chapter in "Federal Regulation of Hydraulic Fracturing: A Conversational Introduction"
Leggette Revises Previously Published "Toward an Energy Ethic"
Leggette Addresses Conservation Efforts and Society's Need For an "Energy Ethic"
Leggette Authors "Toward an Energy Ethic"
Representing U.S. veterans in matters before the Board of Veterans Appeals and the United States Court of Veterans Appeals.